Description: Using the right tool, making a high-quality value stream map is just a few clicks away. 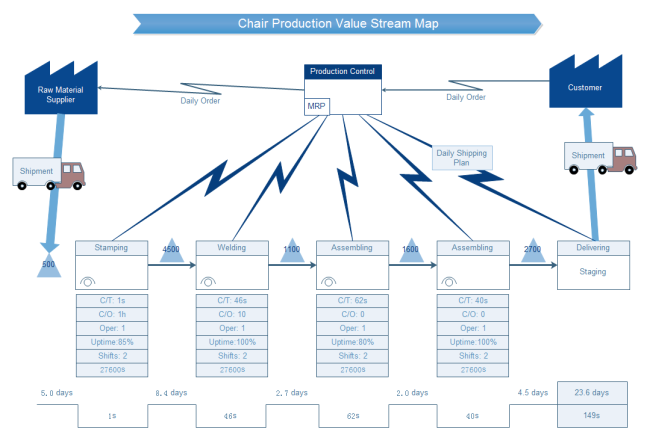 Here is a free and customizable chair production value stream template created by Edraw. Though looks complicated, it can be finished less than 20 minutes. When you finish, you can easily export the files to many formats you prefer.